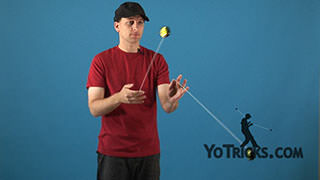 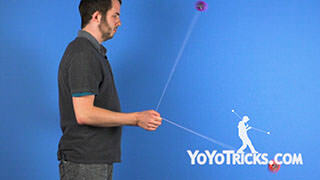 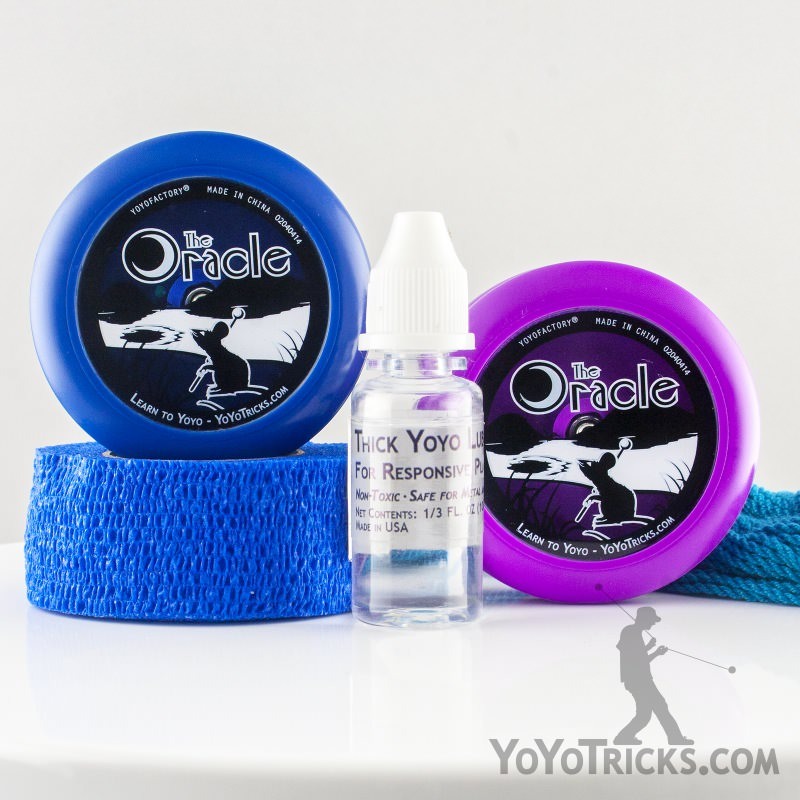 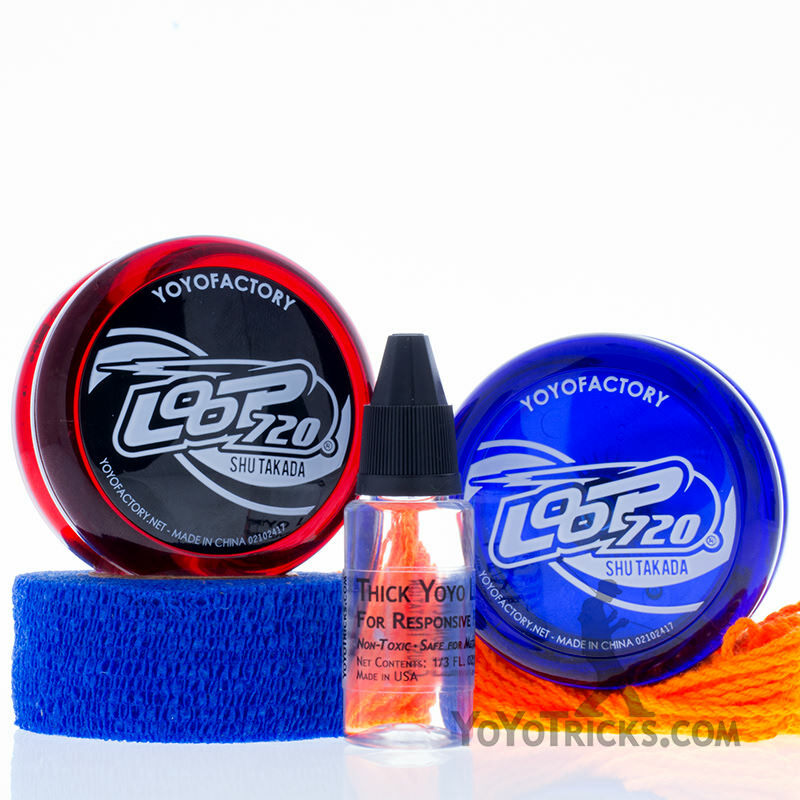 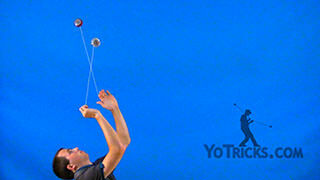 Learn a few variations of the two-handed yoyo trick, crossover loops. Crossover Loops Variations Volume 1 Yoyo TrickOnce you master your Crossover Loops, there are many variations that you can do with them. 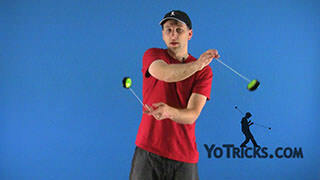 Here are a few of them to work on. 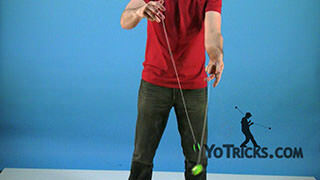 You can incorporate as you do the cross – uncross, you can then incorporate the outside loop. 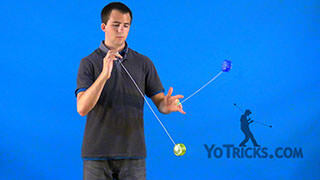 It feels natural that when you uncross your hands that, since the yoyo is traveling in the other direction, you can then go on the outside of your wrist and do an outside loop. So, when it feels natural to incorporate an outside loop, go ahead and throw an outside loop into it. 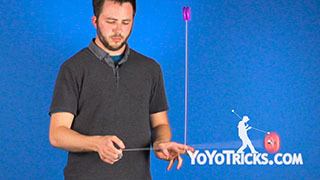 Once you establish going right-hand over left-hand, then go ahead and learn how to do it with left-hand over right-hand like this. 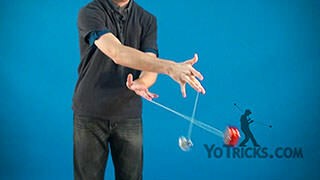 That will segue nicely into a 3-Beat variation of Around the Worlds, except in loops. 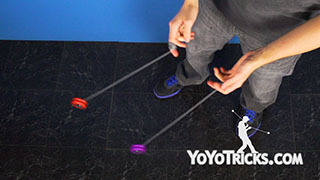 You can cross over right over left, and then cross left over right, essentially just alternating those over and over again. 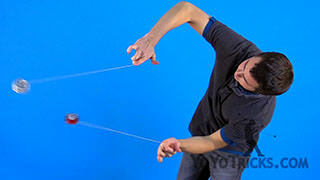 You will notice that I am just naturally doing an outside loop after every single uncrossing. 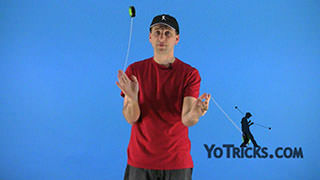 Then I will just move into the next part of the trick. 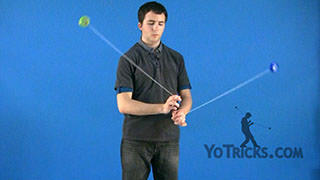 You will notice it is making a weaving motion like this. 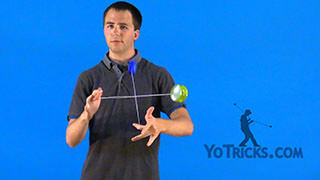 I am doing an outside loop to bring it to the other side of my body as well. 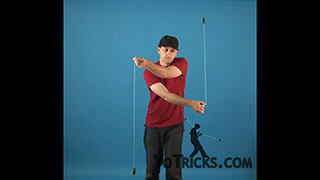 Next, you can also roll them over your wrist like this. 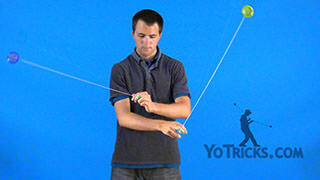 Instead of doing any outside loops, everything will be inside loops and it will just all go over top of your wrists like this. 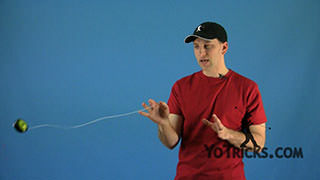 You will notice that each time I bring the other loop under the other arm, like that. 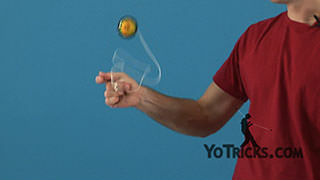 Once you establish that you can get really fast at it, and go like that. 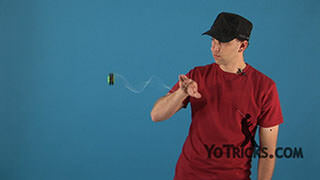 So, all the variations: you can do crossing and uncrossing like this, you can do a 3-beat weave, and you can roll them over your wrists like this. 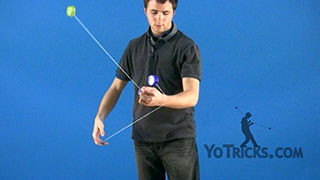 That is a few variations of crossover loops.